The bees build their cells in the combs, actually on the frames with a base of beeswax. When full of honey, the bee protect the honeycombs with other beeswax: so protected the honey could withstand hundred of years. 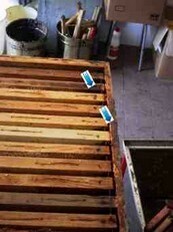 (Above: a frame usually inserted in the beehives). The beeswax recovered in this way is deposited in container(solar wax extractor) exposed to the sun so to melt the beeswax. The result is some easy to handle blocks. The bees wax, for a long time synonymous of softness, contains fat acids, propolis, pigments and vitamin A. It used to modeling, manufacture candles and furniture polish, but has always been a component of cosmetic. The Egyptian women mixed it with ostrich's eggs, olive oil, flour, salt, milk and resins to remove stains from their faces. With milk, incense, olive oil , excrements of crocodile and juniper it was considered an anti-age mask. The beeswax was also the base of the first emollient cream realized by Galeno, famous Greek physician of the second century. His recipe? 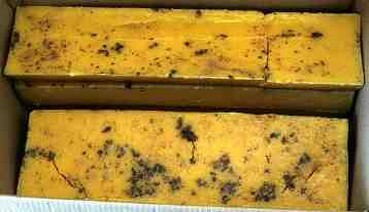 A part of bees wax , three parts of olive oil, in which are soaked rose buds, and water as much as it could be added to the mixture. How to collect it from the frames. (Removing beeswax in action, near the extractor, where you can see some frames already free from beeswax). 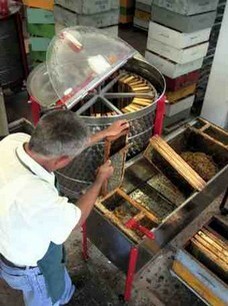 After having removed the beeswax , the frames are inserted in an honey extractor, a machine used to remove honey from frames. The frames are mounted inside the extractor and spun at high speed slinging the honey out of the comb cells by centrifugal force. The honey, once flowed out from the extractor, rest in cylindrical containers called honey sumps. Here, the heavier honey, deposit on the bottom. Some impurity (straws, residual of beeswax.) appears on the surface , where can be easily removed. Honey is the nectar of the flowers, that the bees pick up and thickens thanks to ferment products by their organism. In this transformation, the content of water withered from an initial 80% to less then 20 per cent. And when the apiarists pick it up from the apiaries they find a precious food, that it is the distillate of innumerable plants: to get 500 grams of honey, the bees visit in fact something like 1 million flowers. The honey has many appearances and tastes: clear, dark, amber-coloured, liquid, crystallized. The taste goes from the most sweet (honey of rosemary, orange and lavender), to the bitter (arbutus, chestnut tree, absinthe). Honey components are numerous. First we find simple sugars, that don't need to be metabolized by the liver and by the stomach they are an energetic font for the organism. Then, are mineral substances like iron, copper, phosphorus, potassium, sodium, manganese, calcium, silicon, magnesium, chlorine, zinc. Also vitamins : K, B1, B2 B6, some amino-acids, flavonoidi, essential oils. In a balanced diet the consumption of honey is limited, then the amount of these substances is limited. 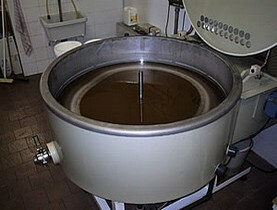 (An extractor in action with honey flowing out). The honey most in demand is the one from acacia flower and Hungary is the biggest producer in the world. Being a food , sensitive to light and hygroscope (absorbs water), with high humidity there is the risk that it ferment. To stabilize it, generally the industrial honey is pasteurized. However, this operation remove part of his nourishing properties. Better the "integral virgin" Italian honey. The law allows to affix a label with the wording "Italian honey," while the diction "integral virgin" it is used, but not legally recognized. It takes the name from the Greek word "própolis", that means "in front of the city." Actually the bees employ this substance like a "sentinel." Because they use it to seal the cracks of their beehive and also as an excellent glue (the beeswax melt with heath). It is used also to reduce the entrance of the beehive and to isolate the bodies of possible invaders. In practice, the function of propolis is that to sterilize the environment in which the swarm lives. 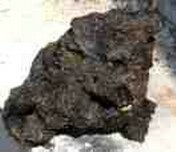 For his antiseptic property, since the old times this substance has been used in traditional medicine. The propolis is a complex mixture of natural components that the bees pick up from the gems of trees like poplar, birch tree, fir, willow, elm, oak. Although his composition changes from region to region, generally the propolis is constituted by resins, beeswax, essential oil, pollen and by composite like phenol acid and flavonoidi. To these last two substances is attributed anti-inflammatory, bacteria-static and antioxidant activity , as results from recent studies. The most common use for propolis concerns oral infections and light ailments of the respiratory tract. His action is very complex, and result effective in many other cases. The propolis is without doubt an excellent antiseptic and antibiotic. But it is also composed in a naturally harmonic way and therefore able to develop an action of protection and of adjustment in many part of the organism. Propolis results to have also antiviral, antimycotic (it fights the fungi of the skin), anaesthetic and cicatrizing action. (Scraped off , the propolis is compacted in shapeless pieces and then properly treated with alcohol it gives us his precious properties ). Royal jelly is a food for a … queen, a queen bee, she eat it for all her life, while the larvae which become workers they receive it for only three days. The average life of a worker is six weeks, while the queen can lives five years, deposing thousand of eggs. Her only food is royal jelly , a white yellow jelly, made by the bee workers. As composition is a substance comparable to maternal milk. The royal jelly is the only product from the beehive that contains fat, around 10 per cent. Besides we find proteins, all the essential amino-acids, vitamins of the B group, vitamin C, oligoelements and nucleotide, in other words the basic that constitute the DNA. The royal jelly has nourishing important properties and it is used like energetic to stimulate the defenses and the vitality of the organism. Therefore it is suitable for children, elderly, sport peoples and during convalescence. The royal jelly, in short, an useful integrator when there is need to improve the physical and mental functions. It is a anabolism, able to give energy. It is the masculine seed of the flowers and the adult bees give it as food to the larvae. The pollen, therefore, is a font of energy. Not only because is the basic nourishment to insects so active, but also because transported by the wind or, by the bees, allows the birth of new fruits and of new plants. In practice, it is a substance that contains the secret of the development ,in itself, of the growth and of the continuity of the specie. The pollen is an energetic concentrate, a true bomb of life. Particularly we find in it 20 of the 22 amino-acids essential to life. Why are the amino-acids so important? Because they are the "bricks" with which our organism builds the proteins that constantly need. (Behind the back legs you can glimpse two pellets of pollen). Chemically the pollen is also constituted by simple sugars above all glucose and fructose, by vitamins of the B group, vitamin C, flavonoidi and by minerals, potassium, sodium, calcium, magnesium, phosphorus , iron, copper and zinc. Due to the richness of his nourishing elements, the pollen is not only food, but a substance with different therapeutic functions. A so complex association of properties make the pollen a tonic, with strong anti-inflammatory and balancing properties for the organism. Then the use of pollen could be a simple and effective mean to recover energy and functional equilibrium. ( Here the pellets of pollen are fully grown and well visible. The bee is ready to fly up to carry her precious load to her beehive. ).